¡Murales Rebeldes! 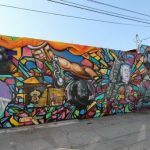 L.A. Chicana/o Murals under Siege – ¡Murales Rebeldes! Remains of the East Los Streetscapers’ mural Filling Up on Ancient Energies (1981), and the wall on which it was painted, clutter 4th and Soto Streets in Boyle Heights, Los Angeles, on May 24, 1988. The mural was destroyed without notifying the artists. Courtesy David Botello, Wayne Healy, and George Yepes. In March, the J. Paul Getty Foundation awarded a grant to the California Historical Society in partnership with LA Plaza de Cultura y Artes of Los Angeles for an exhibition that will be part of “Pacific Standard Time: LA/LA.” This Getty initiative brings together over 40 museums and cultural institutions across Southern California. Through a series of exhibitions, publications, and programs, participating organizations will realize the goals of the project: to create a dialogue between Latin American and Latino art and Los Angeles. In September 2017, CHS and LA Plaza will present ¡Murales Rebeldes! L.A. Chicana/o Murals under Siege. 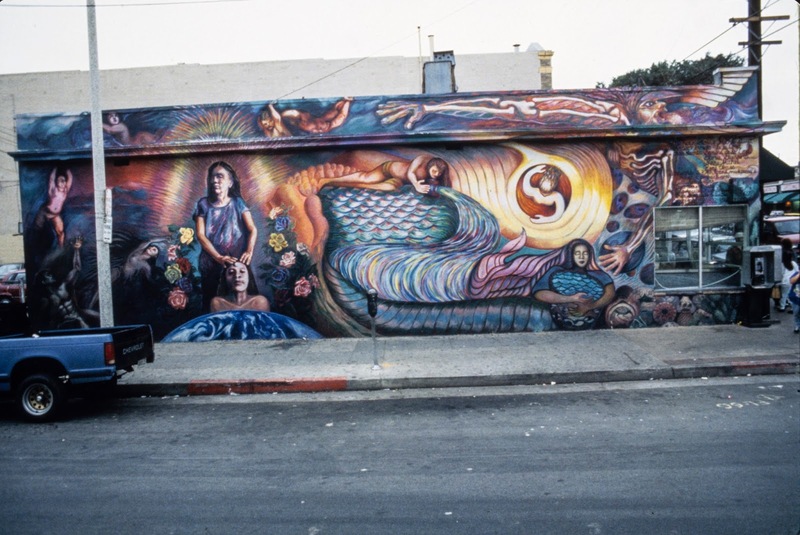 The exhibition and companion publication will look at the ways in which Chicana/o murals in the greater Los Angeles area have been contested, challenged, censored, and even destroyed. Why Murales Rebeldes! 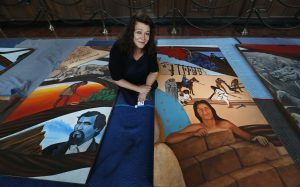 L.A. Chicana/o Murals under Siege? 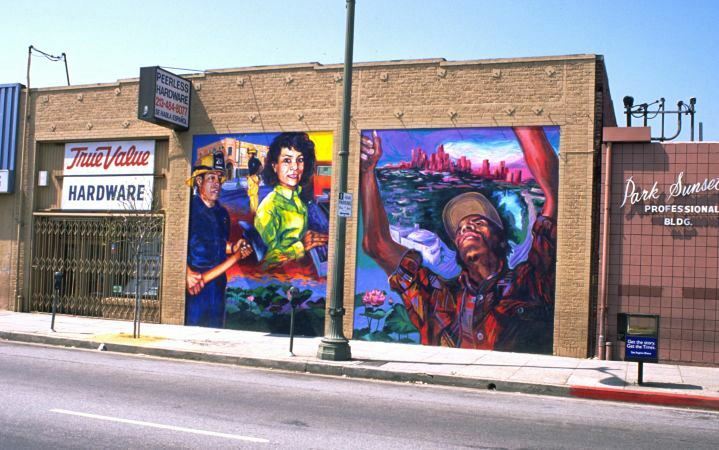 Chicana/o murals often have been sites of controversy. The ways in which their creators provoke the dominant cultural norm and challenge the assumed historic narrative have often resulted in the desecration, whitewashing, or destruction of these works of art. 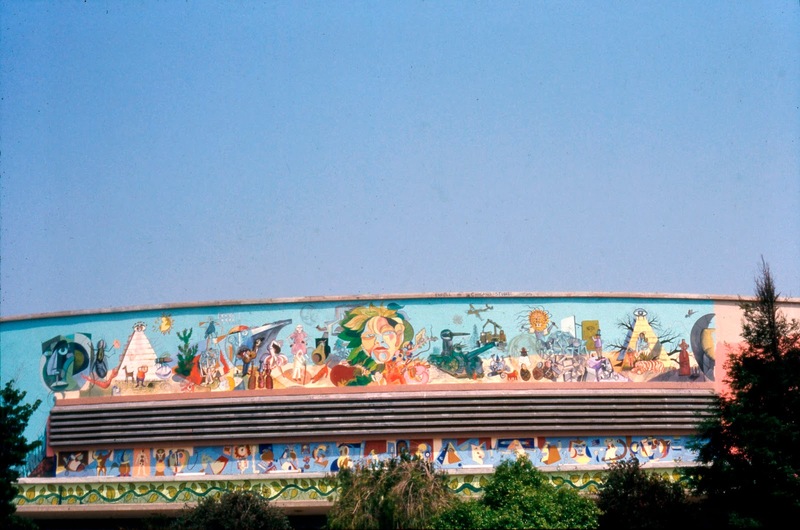 Outright neglect and mistreatment of murals, as well as dismissal of their artistic and historical value, also threaten the survival of these works. 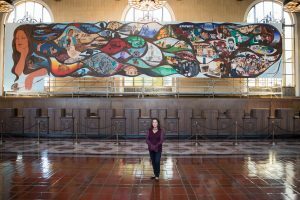 The exhibition will explore murals by Barbara Carrasco, Yreina D. Cervántez, Roberto Chavez, East Los Streetscapers, Ernesto de la Loza, Willie Herrón III, Alma López, and Sergio O’Cadiz Moctezuma. In this exhibition in the historic heart of Los Angeles, LA Plaza and CHS will examine the iconography, content, and artistic strategies of these key Los Angeles area Chicana/o murals that have made others uncomfortable to the point of provoking a contrary response. The exhibition will delve into the murals’ complicated creation and subsequent disturbing history of censorship. Through photography of the murals, preparatory sketches, related art works, and ephemera, the exhibition will tell the story of the mural from its genesis to its end. 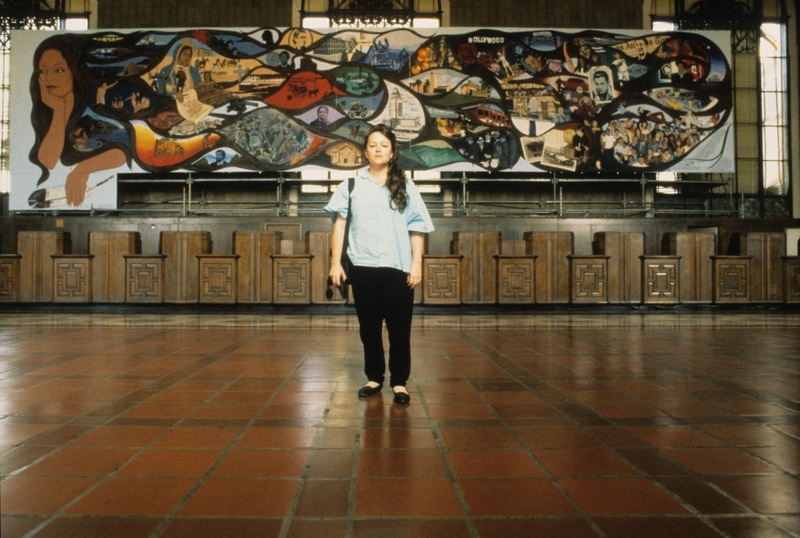 Barbara Carrasco’s massive L.A. History: A Mexican Perspective (1981) never made it to its designated location at 330 South Broadway in downtown Los Angeles due to its honest portrayal of Los Angeles’s history. Today it is in storage but will be brought to light again in the exhibition. Courtesy of Barbara Carrasco; photo: Harry Gamboa, Jr.
Less than five years after its completion, Roberto Chávez’s The Path to Knowledge and the False University (1974–75) was completely obliterated by the college administration that had originally commissioned it. Courtesy Oscar R. Castillo; photo: Oscar R. Castillo. 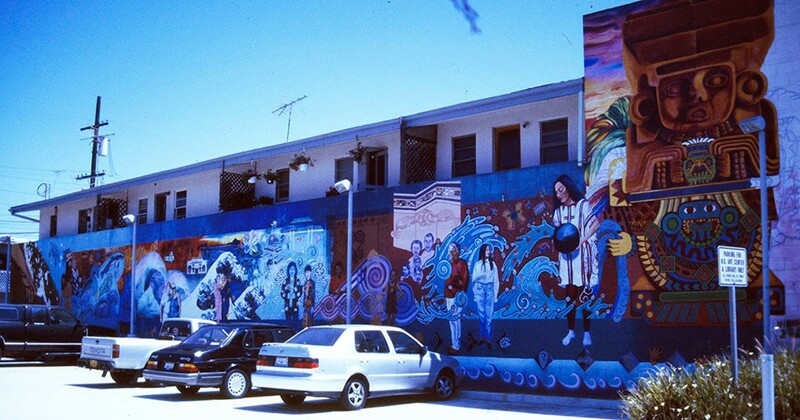 Yreina Cervántez and Alma Lopez’s Huntington Beach mural Historia de Adentro/La Historia de Afuera, The History from Within/The History from Without (1995) was destroyed after years of graffiti and eventually painted out completely. Courtesy Guisela Latorre; photo: Guisela Latorre. 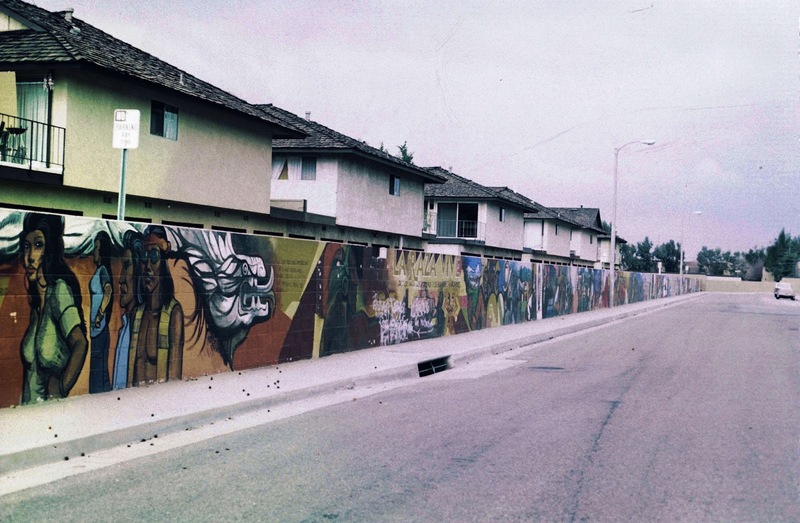 Sergio O’Cadiz’s mural (1975) was starved of resources after Fountain Valley officials who had commissioned it saw a panel showing police mistreating a Chicano youth. 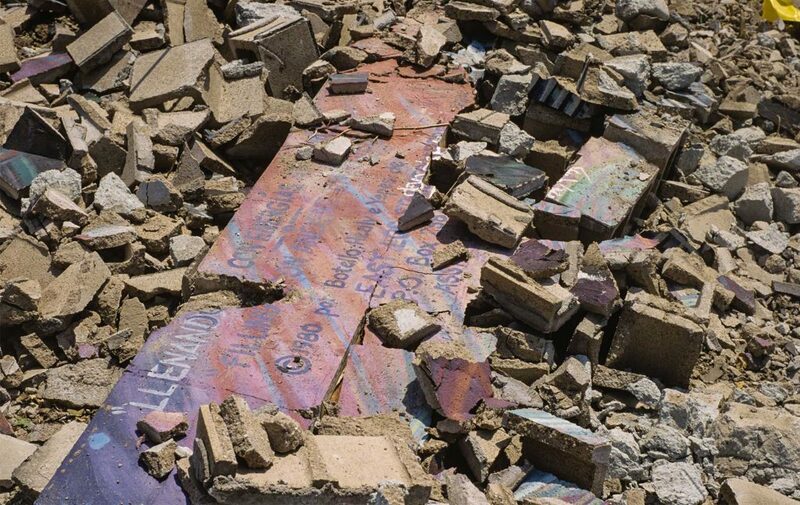 The mural was neglected, left to decay, and finally bulldozed by the city. Courtesy, Private Collection of the O’Cadiz Family. The complete disappearance of El Nuevo Mundo: Homage to the Workers (1997) (above) in Echo Park and the ongoing corrosion of his best known work, Resurrection of the Green Planet (1990–91) (below) in Boyle Heights tell the distinct yet interrelated stories of a disappeared and a disappearing mural, both embodying the death and near death of Chicana/o muralism. Courtesy Mural Conservancy of Los Angeles; photo (c) Robin Dunitz. ¡Murales Rebeldes! 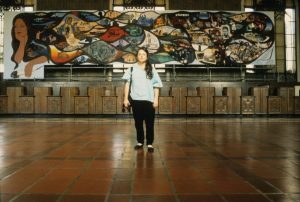 : Contested Chicana/o Public Art opens on September 23, 2017, and will be on view through January 29, 2018, at LA Plaza de Cultura y Artes in downtown Los Angeles. Courtesy of Ernesto de la Loza; photo: Ernesto de la Loza.